It’s no secret that India has served as a launchpad for several Chinese smartphone vendors. 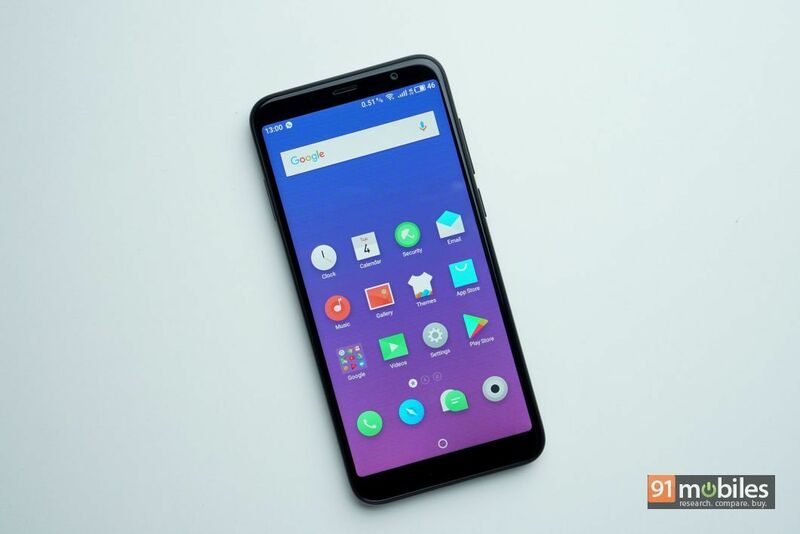 That said, while companies like Xiaomi, OnePlus and Huawei are currently selling smartphones by the thousands in the country, some other Chinese brands haven’t catapulted into success. 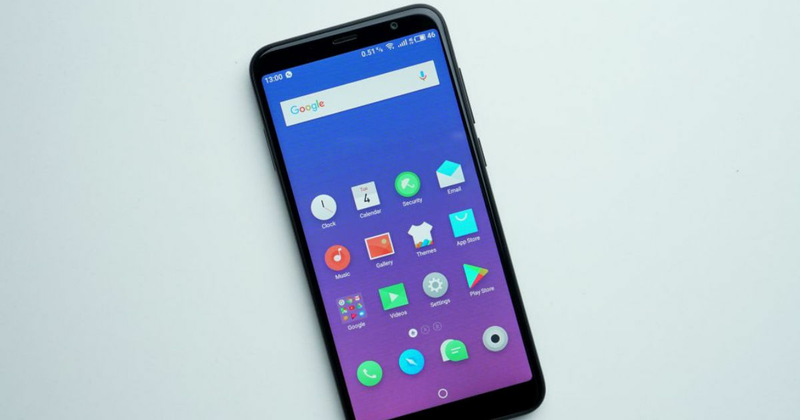 One such company is MEIZU, which forayed into the Indian shores a while back, but wasn’t able to make its mark. 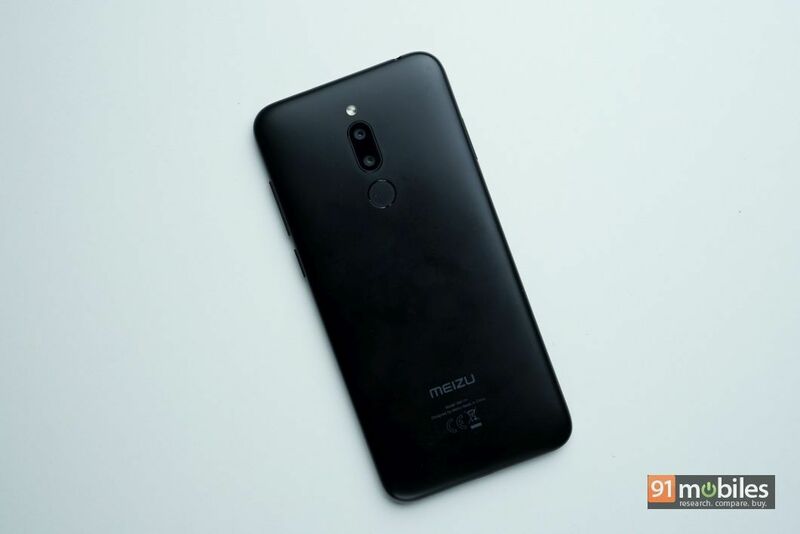 Now, the brand is making a second-coming of sorts by launching three new devices in the country including the MEIZU C9, M6T and the flagship dubbed as the 16th (review). 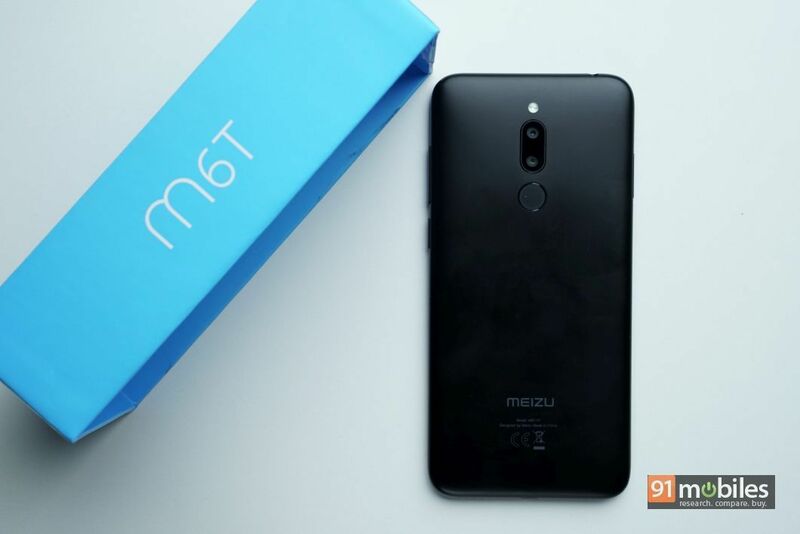 Of the three, I managed to get my hands on the MEIZU M6T and after testing it for a while, here are my first impressions of the same. 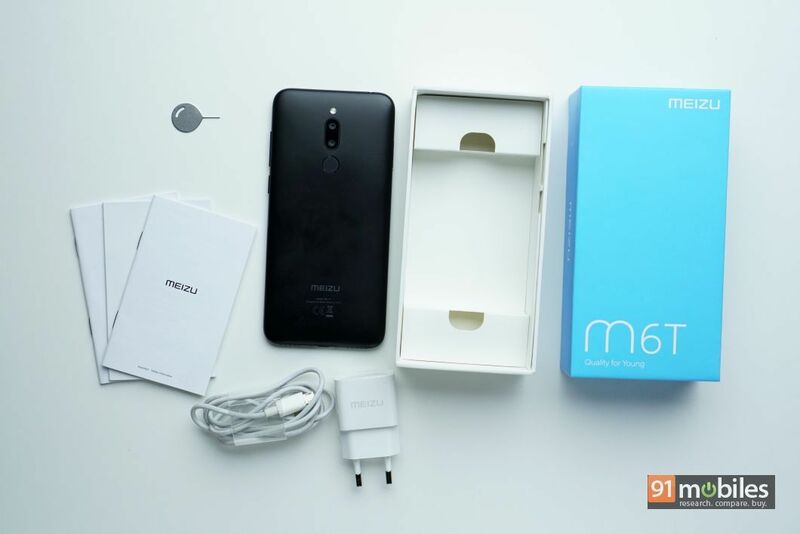 The MEIZU M6T comes packaged in a blue cardboard box, upon opening which buyers will find the smartphone itself, followed by a quick-start guide, a wall charger and a micro-USB cable. Unfortunately, the handset doesn’t ship with a pair of earphones, or a protective case, though we can’t complain much considering the price point of the handset. Coming to the device itself, the M6T has a bog-standard design and the smartphone has been constructed in entirety using polycarbonate. While this helps with keeping the weight of the unit down, the handset doesn’t make a lasting first impression. That said, the polycarbonate rear is quite stiff and doesn’t flex when pressure is applied at the centre of the unit. 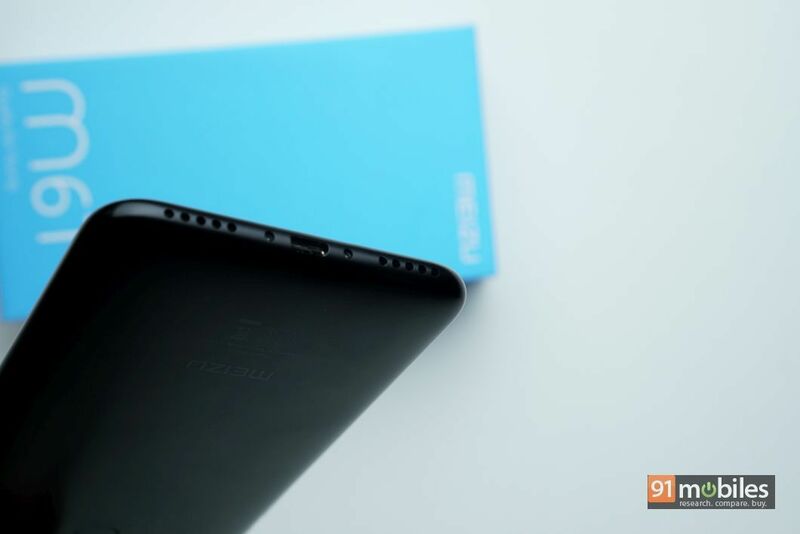 Moreover, unlike a glass-back smartphone, MEIZU’s phone offers a phenomenal grip. The weight of the device is also evenly distributed across its chassis, allowing one to use it single-handedly without any discomfort. In terms of ports and buttons, the smartphone ships with a micro-USB socket at the bottom, which is sandwiched between two speaker grilles. 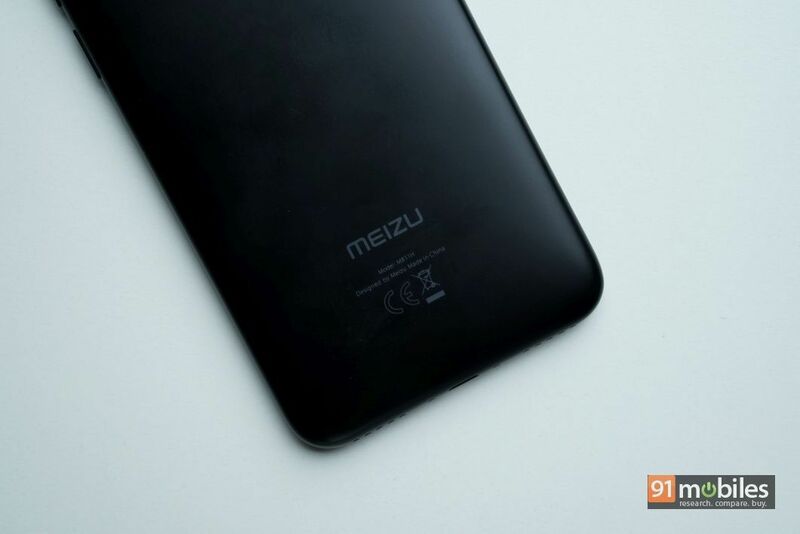 There’s a fingerprint sensor positioned at the back which worked quite accurately during my short stint with the MEIZU M6T. The right spine of the device is the home to the volume rocker and the power switch, while the hybrid-SIM slot is placed on the right. Lastly, the headphone jack can be found at the top of the handset. Display-wise, Meizu’s M6T ships with a 5.7-inch, 18:9 HD+ LCD panel. The screen exhibits punchy colours and has adequate brightness levels, however it lacks a bit in the sharpness department. That being said, unless you’re pixel-peeping, you shouldn’t find much issues with the quality of the panel. 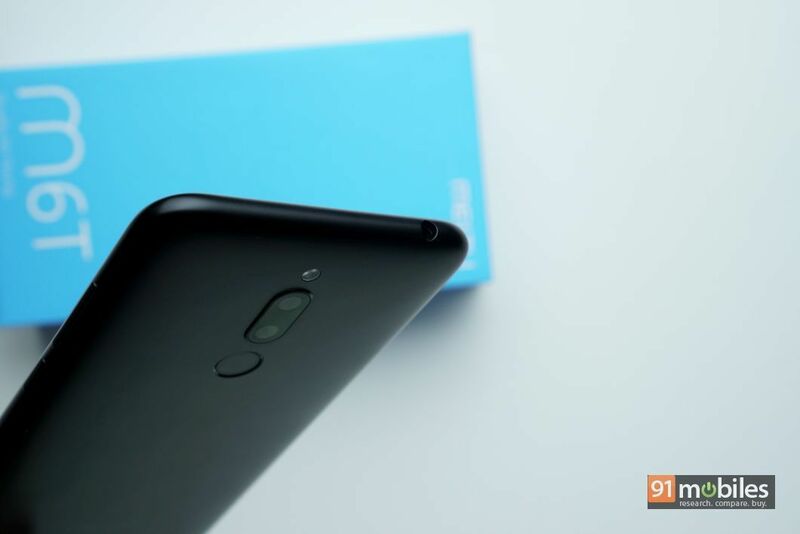 Under the hood, the Meizu M6T is backed by a MediaTek MT6750 octa-core processor which comprises four A53 cores clocked at 1.5GHz and the other four cores tuned at 1GHz. 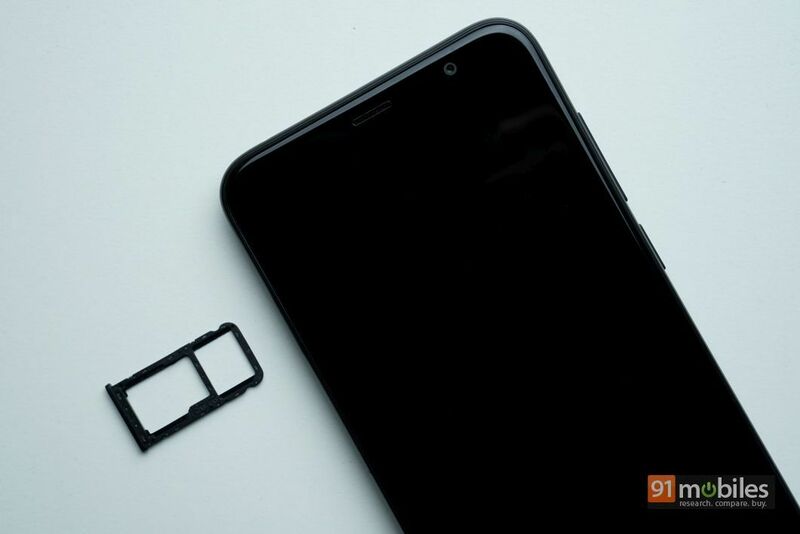 The handset ships with 3GB of RAM and 32GB of built-in storage. However, as I mentioned previously, buyers do get the option to expand the storage by up to 128GB via a microSD card. During my brief usage, I didn’t notice any lag while navigating through the UI or opening pre-loaded apps on the smartphone. That said, you’ll have to wait for our full review of the smartphone to get a better gauge on the handset’s performance. 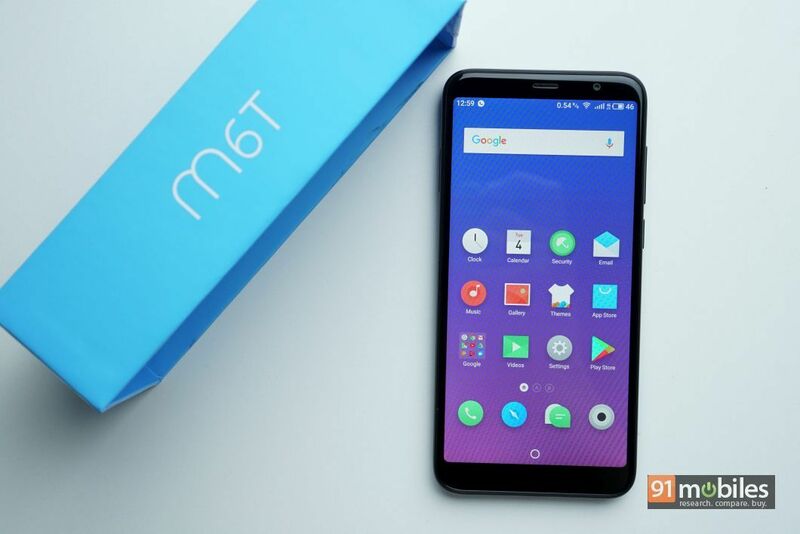 For software, the M6T boots Flyme OS v6.0 on top of Android Nougat. That’s quite disappointing when you consider that the OS is two generations old. In the imaging department, the Meizu M6T ships with a pair of 13MP and 2MP sensors on the back with f/2.2 and f/2.8 apertures respectively. For selfies, the handset offers an 8MP f/2.0 front camera. While I couldn’t put the shooters to a proper test, I can tell you that the rear-facing smappers latch quickly on to a subject and the shutter speed of the unit is quite fast too. 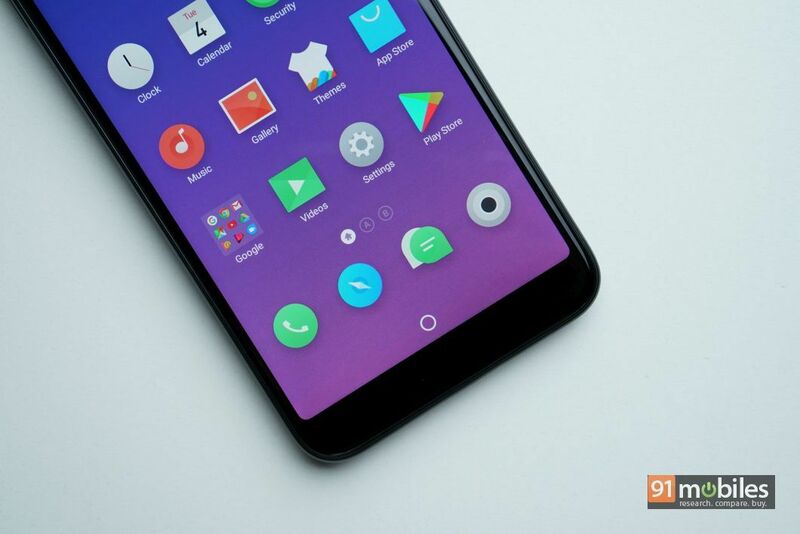 The MEIZU M6T is fuelled by a 3,300mAh battery which coupled with the handset’s relatively low-res display and an efficient processor, should last buyers a full day. The smartphone retails for Rs 7,999 and will be available exclusively on Flipkart. 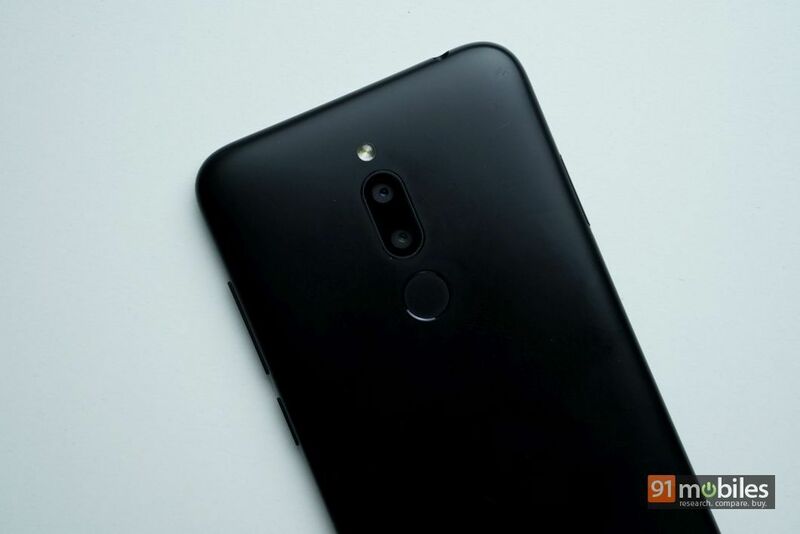 For the price, the handset will go up against the likes of the ASUS ZenFone Max M1 (review), Realme C1 (review) and Xiaomi Redmi 6A (review). While the M6T isn’t the only option in its category, it tries to offer everything a potential budget user might be looking for. That said, it remains to be seen how the device fares once it hits the shelves.